While most projects necessitate a temporary evacuation, others such as bathroom remodeling, allow you stay at home for the duration of the job. There are some things you should consider if you’re trying to decide between staying home and moving out. Noise and Dust – Noise and dust are to be expected with any remodeling project. You should probably have your kids and pets stay with loved ones in the meantime due to the sound. For homeowners who work at home, the noise and dust may disrupt productivity. Safety Risks – Installers will be working with tools and electrical installations. Old tile and glass may be hazardous for anyone without proper safety training. Also, consider the health risks if the project includes the removal of old components that contain asbestos or if there are major mold issues that need to be addressed. Hotel and Food Costs – Unless you have a guest house or a vacation home to stay in, hotel costs could add up if the project will take more than a few days. A kitchen remodeling project will necessitate a makeshift prep area, and you may have to limit your cooking to portable appliances like a grill. Ordering in is definitely an option, but your family probably wouldn’t be happy if to be having a pizza dinner for the fifth time in a row. Monitor the Progress of the Project – For those who prefer being hands-on with the remodeling project or at least want to monitor its progress, living in may be the best option. It also lets you address issues immediately, especially those that require a quick response. You should discuss the details with the contractor before starting the project. 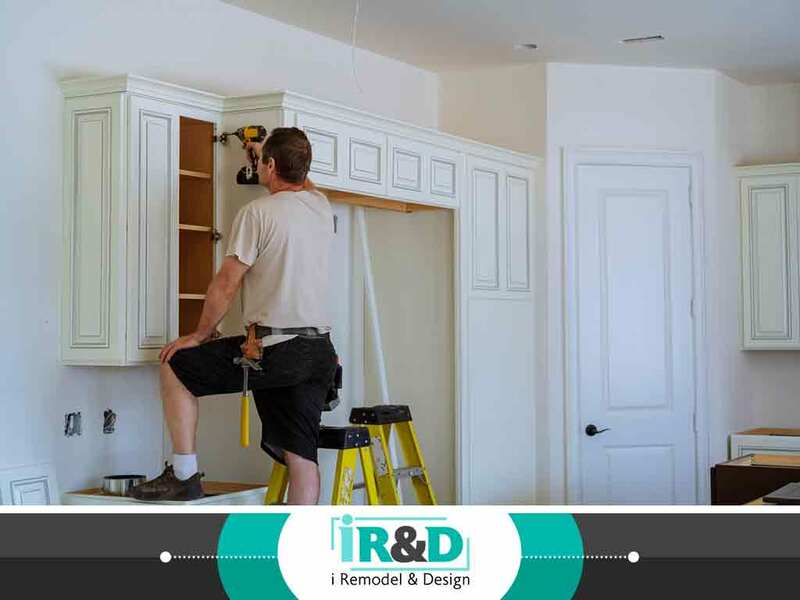 To learn more about what we can do for your next kitchen, bathroom or basement remodeling project, call i Remodel and Design today at (703) 634-7003. You can also fill out our contact form to schedule an appointment. We serve Sterling, VA, and surrounding areas.